Jared Leto considered dressing in drag as his character from 'Dallas Buyer's Club' for the Oscars. 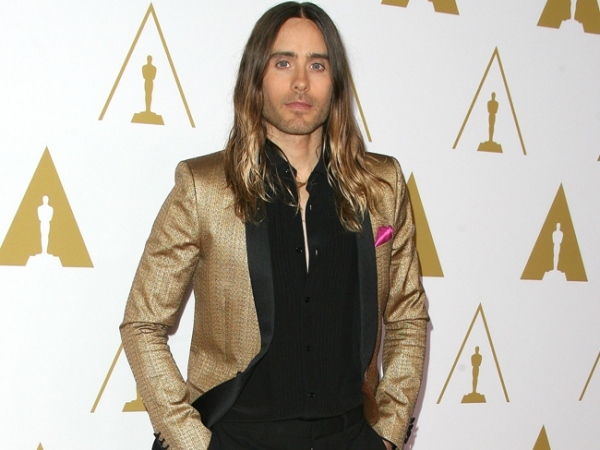 Jared Leto considered dressing in drag for the Oscars. The actor almost went as his character from Dallas Buyer's Club - a transgender woman Rayon - to the ceremony earlier this month, where he triumphed, taking home Best Supporting Actor for his part in the movie. He told the London Evening Standard newspaper: "I thought about dragging up for the Oscars, going as Rayon, because I knew that she would have loved to be there." Jared added he was amazed by how much time he had to spend on his look as a woman, saying it gave him a new "appreciation" of what girls do to prepare for a night out. He added: "It's so much work for girls to get ready. I was brought up by my mum, so I always had an appreciation of women. But now I have more respect for the process. It's a lot, what women have to do to themselves. But in the end, when you put that final dash of lipstick on and your look all comes together, it really is a glorious reward." In the end Jared wore a white Yves Saint Laurent dinner jacket with black trousers and a red bowtie to the event, and although he's not usually interested in award shows, he appreciated the platform winning an Oscar gave him. He added: "I would never say, 'I don't give a s**t about the Oscars,' because it's not the whole truth. It's not about the shiny, naked golden man, or the pat on the back. It's about being able to stand on a world stage for two minutes in front of a billion people and say something that is meaningful, important to you."